I am sure a lot of people are tired of hearing about the untimely death of actor and comedian Robin Williams. After all, you cannot browse the internet or turn on the TV without hearing his name. I understand anyone who is having this frustration because I have felt that way through many celebrity deaths. But the loss of Robin Williams feels different for me. I am not going to pretend that I was Robin Williams’ biggest fan. I obviously wasn’t and haven’t followed his work much since I was a teenager. His humor, as genius as it was and is, did not exactly fall into the same category as my own. I really wish it did, because his humor and heart aspires to everything I wish I could be. I think that is a little bit of what every life he touched has felt, especially the creative. Many are now saying, “Why is everyone so upset over the death of a celebrity when there are uproars in the St. Louis black community and war in the Middle-East?” I can explain why in one sentence: We knew Robin on a personal level, whether he knew us or not. It is like losing a loved one. Not only that, but it is like losing the life of one of the kindest, most loving, and of course, funniest human beings on Earth. He was family to most of us through his movies, TV shows, stand-up specials and most importantly his generosity to both friends and strangers. When we saw Robin’s smile we couldn’t help but smile ourselves. I don’t believe that his happiness was a put on. I know it was part of who he was. Making others happy made him happy, despite his depression, because that is just the type of person you could tell he was. My thoughts go out to his friends and family, and that includes all of us. He was a huge part of all of our lives for many, many years. We are all a giant family through him. Through the many laughs he has given us and most importantly the love. 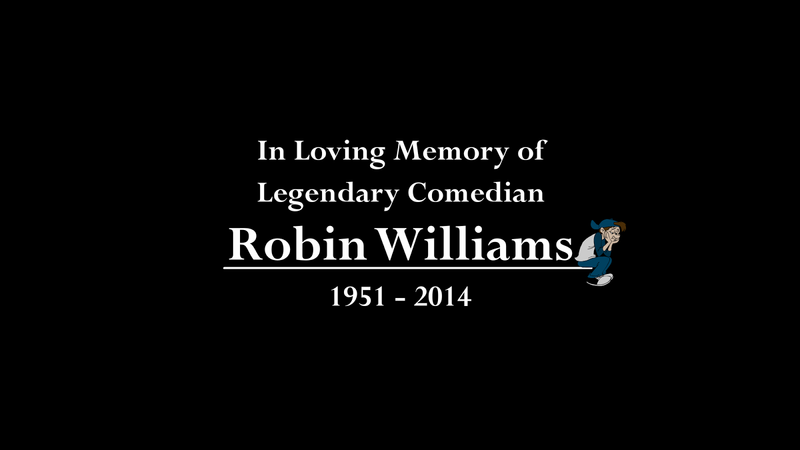 You are finally at peace, Robin. And if there is a heaven, I’m certain it has never been funnier. "Life isn't nearly as funny without you."